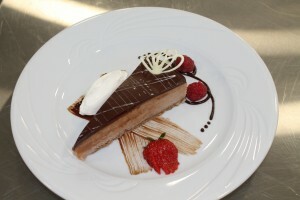 We pride ourselves on our kitchens at Cherry Blossom Care Home. Not only is good nutrition essential to health, but the enjoyment of freshly prepared food is a great pleasure of life. We have a fully trained chef and catering team, providing locally-sourced, fresh, seasonal food – all prepared on site. Residents may choose from our extensive menu, including any particular favourites they may request. We cater for all dietary requirements whether it is medically required or by preference. Residents are free to eat in the dining room or breakfast in bed may be an appealing way to start the day. Residents enjoy the company of others when dining in a relaxed environment where residents might share a glass of wine or discuss events of the day over after dinner tea or coffee. Bistro and Bar is open from mid morning for quality snacks readily available to supplement regular meals if required. Sam has been a chef for 30 years and in that time he has won no less than 5 gold, 6 silver and 5 bronze medals in culinary competitions. 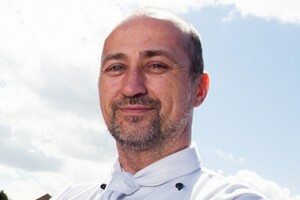 Amongst his credentials he has also won the coveted Hotelympia Master Chef title at the Salon Culinére London and the National Care Chef Award 2013. One of his most significant moments in his career, was his appointment to Her Majesty the Queen as her Chef in 2006. Our menus include fine quality and locally-sourced ingredients and our bistro enables residents the chance to dine as if they were in their favourite restaurant. As with every other facet of the home, we want to excel in the kitchen too. The kitchen welcomes favourite recipes from our residents. Open to residents and visitors alike, Barnaby’s Bistro & Bar provides excellent food and drinks in a relaxing atmosphere, with the highest levels of cleanliness. 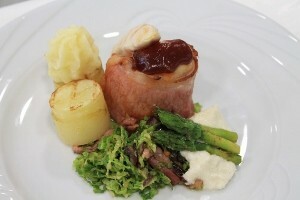 Our qualified chefs pride themselves on delivering delicious, home-cooked, traditional meals. Quality local produce is used to create a balanced and nutritious menu, which includes special dietary needs. Residents are able to enjoy meals in the relaxed atmosphere of the dining room, where there is the opportunity to socialise or, if they prefer, in the privacy of their own rooms.